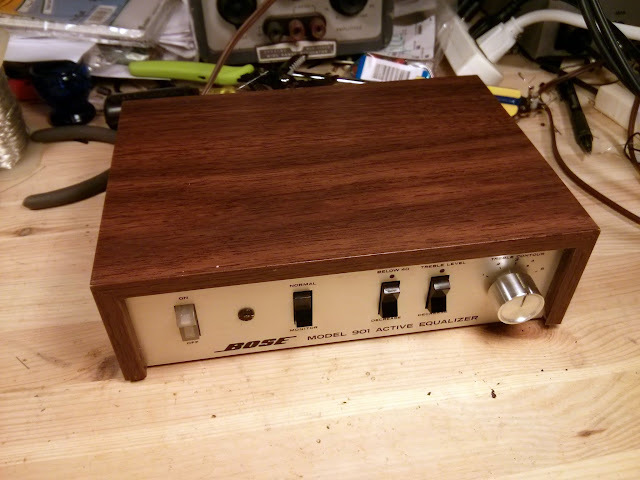 I recently got to work on another Bose 901 Series I Active Equalizer, Serial #30924, which needed some service. It’s coming from the original owner who purchased them new in 1970, they went into storage about 10 years ago when the equalizer started producing uneven output in each channel and cutting in and out. This particular one was in for the full works, including a few upgrades, to bring it back into active service. 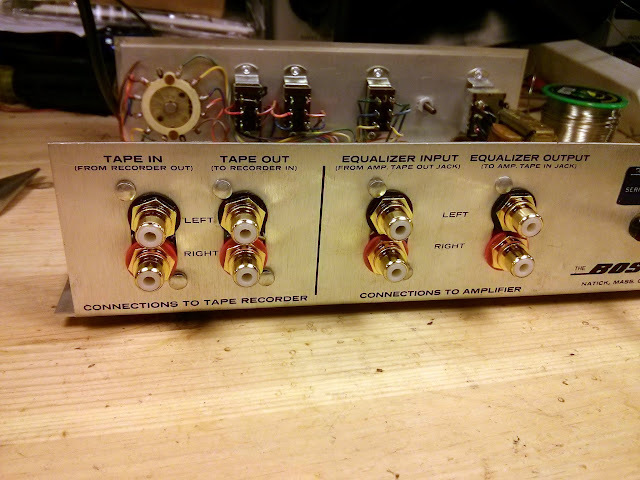 In addition to replacing the worn out capacitors and drifting resistors, this equalizer’s owner has requested I bring it up to modern spec with a few upgrades: audiophile grade film output capacitors to improve clarity and detail, and gold-plated RCA jacks to accommodate today’s thicker, more heavily shielded RCA cables. 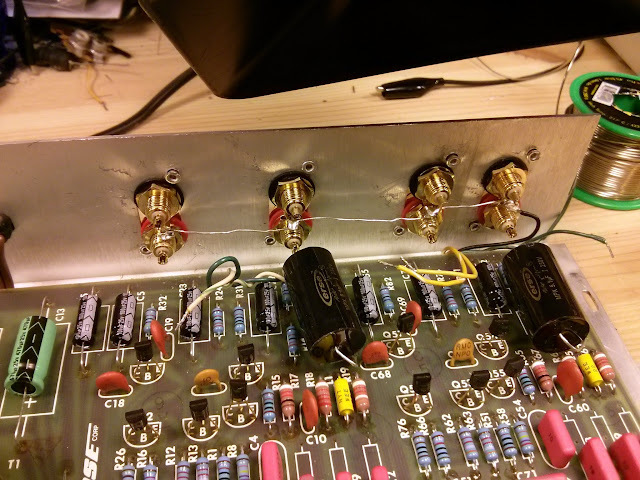 All of the solder joints were soldered using 4% silver solder which lowers joint resistance even further. This equalizer sounds absolutely fantastic when hooked up to my test system. The color and clarity of the music really comes through, especially with the upgraded output capacitors. 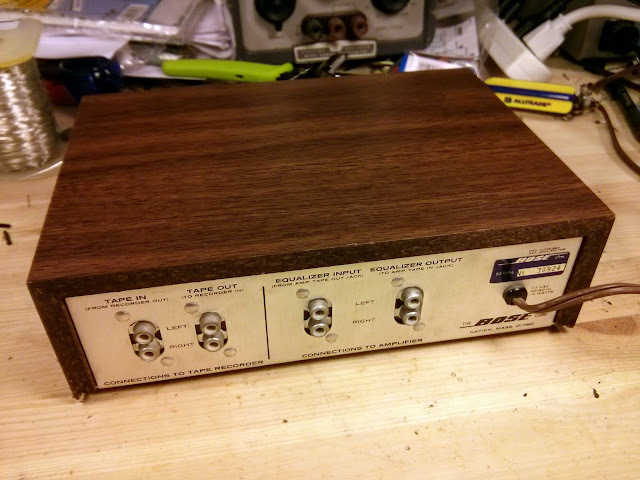 Fully recondition, this equalizer is going to sound beautiful for many years to come. 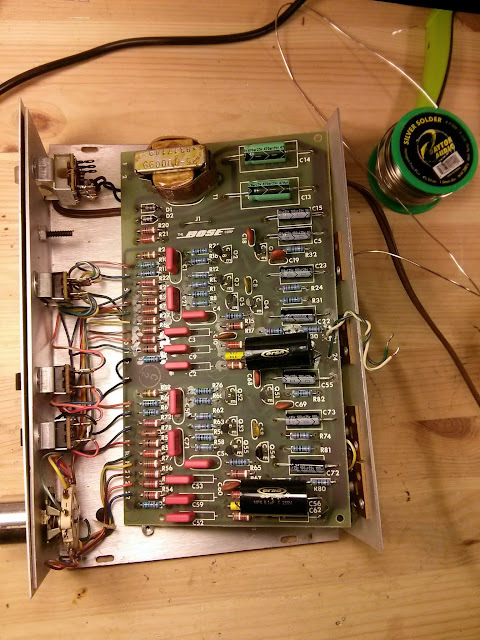 If you need your Bose 901 Active Equalizer repaired, I can help. 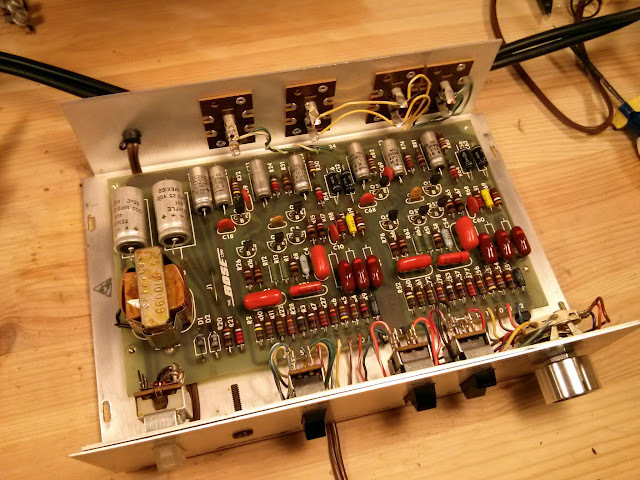 This entry was posted in Audio, Bose, Electronics, Projects, Stereo, Vintage and tagged Active Equalizer, Bose, Bose 901, capacitor, capacitor replacement, Equalizer, repair, restoration, Series 1, series I, vintage. Bookmark the permalink.